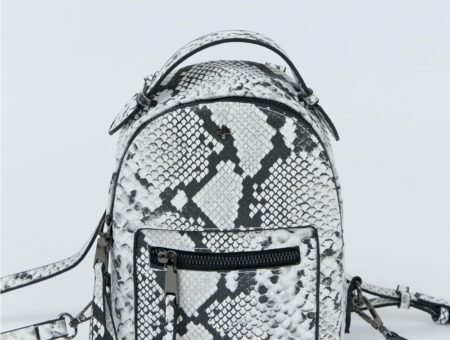 Over the weeks ahead, we will be breaking down each trend and sharing our favorite pieces that you can buy on a budget. 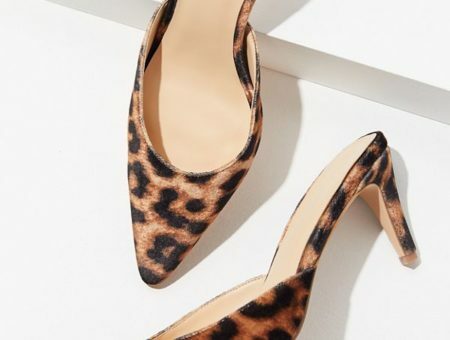 Last week, we discussed modern kitten heels and how they are being reintroduced into fashion. This week, we’re going to be breaking down the latest trend: western influences! Clothes that are inspired by western fashion include characteristics such as denim, fringe, bandanas, camel-colored leather, and soft florals. And, of course, cowboy boots! Cowboy boots are the perfect element to add to any fall outfit due to the wide range of colors and styles available. They are more versatile than you think, and I’m already getting ready to wear mine! On the Fall 2018 runway, we saw small western characteristics incorporated into everyday outfits. In one of Vanessa Seward’s fall 2018 looks, she added a black-and-white cow print to her boots for a touch of western influence. 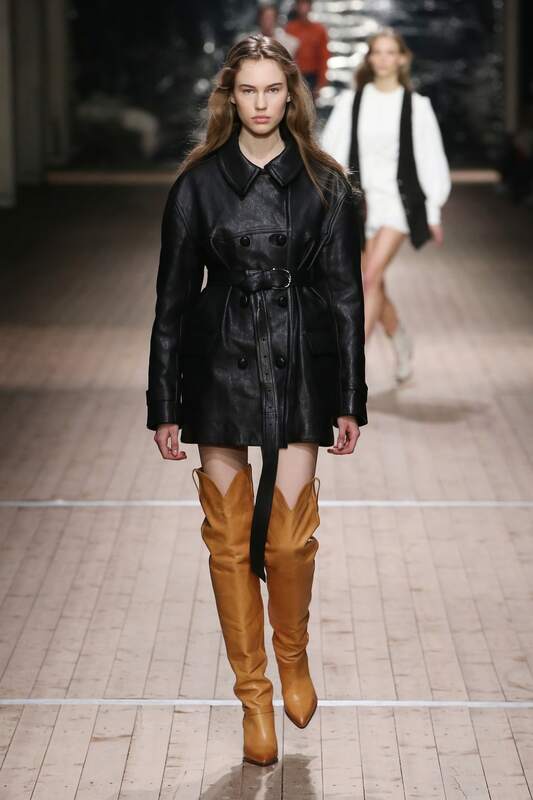 And in the photo above, designer Isabel Marant uses these camel-colored leather boots to add a western aesthetic to an already trendy over-the-knee style. Below are my favorite western-inspired pieces you can buy in stores right now, and they are all under $50! Florals are such an easy way to add a western influence to your fall wardrobe. Although florals do look great in the spring and summer, they also add elegance and lightness to an otherwise cold time of the year. The dress pictured above is perfect for fall thanks to its long bell sleeves, which also have an on-trend western vibe, and dark colors. It would be perfect for a date night out or even for Thanksgiving dinner with your family. You can pick up this floral shift dress at Forever 21 for just $35. Fringe is definitely a trend that looks great for fall fashion. Outerwear is such a huge part of fall, so why not spice it up with a little bit of fringe? This fringe jacket would look fantastic with a pair of jeans or even a dress if you’re going out on the town. And if you want to be subtle when testing out the western trend, you can opt for a black fringe jacket, like the one above, instead of the traditional tan-colored one. This effortlessly cool faux suede fringe cropped jacket retails for less than $40 at Forever 21. If you really want to dive fully into the western trend this fall, the best way to do so is to get a pair of cowboy boots. Cowboy boots are the perfect shoe to wear this season due to how comfortable they are to wear and the wide range of colors and patterns you can get. 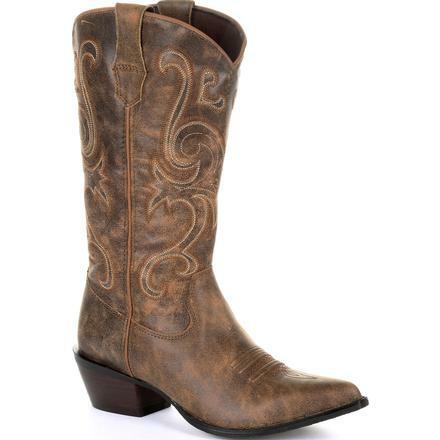 I own a pair of brown cowboy boots with blue floral detailing that looks great all year round! You can find the shoes above on sale for $49.90 at Durango Boots. If you want to get long-lasting, quality made cowboy boot, I recommend the brand Lucchese, but be aware that these shoes are on the pricier side. How Would You Wear Western Fashion? This concludes the fall 2018 fashion trend series. What were some of your favorite trends that were featured? Mine was definitely the elevated plaid. Tell us your top picks in the comments below.